The safety and wellbeing of the student population should be the top priority of any respectable university. On Jan. 29, McMaster University chose to prioritize profits over the safety of their students. 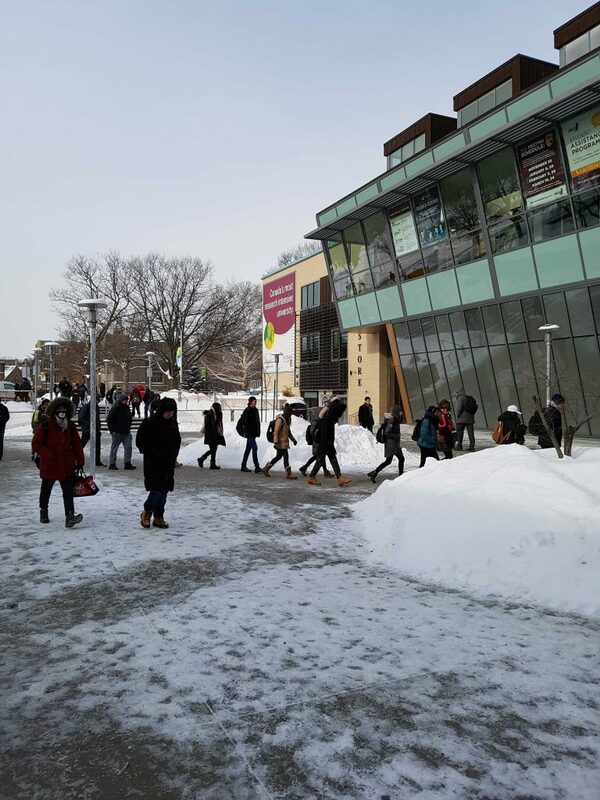 Despite heavy snowfall and icy conditions, McMaster remained open because “crews [had] spent the night clearing snow and cleaning walkways.” The university simply advised their students to take care when travelling to campus. Crews have spent the night clearing snow and cleaning walkways. The University will open for classes this morning and all events and activities will take place as scheduled. Please take care travelling to campus. For students living on-campus, the inclement weather did not pose as serious of a concern. However, for students and staff who live off-campus and commute, this decision put their safety at risk as roads and pathways leading to the campus were not adequately cleared. In the opinion of many students on social media, the cancellation of classes should have been deemed a necessity. Students used the closure of the Hamilton-Wentworth District School Board schools, which are located in the same area as McMaster, to support their views. Due to the inclement weather, all schools and administrative buildings are closed and transportation is cancelled today, Jan 29. All exams scheduled for today will be written tomorrow, Jan 30. Many students could not make it to campus due to Go bus cancellations and delays. The university clearly overlooked these legitimate concerns despite the potential negative impacts on students’ academic standings. This incident begs the question: does McMaster value profits over the safety of its students? Given this instance, I believe the answer is yes. This decision was careless and irresponsible considering that most students attending McMaster either commute or live off-campus. These severe weather conditions also made it impossible for students using accessibility devices to safely reach campus. Furthermore, many students that braved the conditions and commuted to campus found out that their instructors had cancelled their classes. The lack of coordination between the university and its faculty led to students unnecessarily putting their safety at risk. Students also pointed out that several walkways on-campus were not cleared even though the university claimed otherwise. McMaster should be more truthful about the statements they disseminate to the public. Students use this information to make decisions about their commute and how they navigate the campus in a safe manner. Dude campus isn’t even accessible under *perfect* weather conditions. It is difficult to pinpoint what sources of information the university used to inform their decision. The weather forecast predicted a snow storm at approximately 4 p.m. the day prior. The local facilities in Hamilton such as the YMCA and public libraries were also closing for the day. Buses and trains were also delayed or canceled in several locations throughout the southern Ontario area. McMaster University should take a multi-faceted approach when making weather-related closure decisions. Transportation, safety and the effectiveness of the clearing crew needs to be evaluated before making a decision that can impact the safety of thousands. Student safety should be of paramount importance to educational institutions. There seems to be a disconnect between McMaster and its students regarding the implementation of the inclement weather policy. McMaster should re-evaluate the actions it took on Jan. 29 and learn from this incident. Students need to know that their safety is valued and plays a key role in the decision-making processes of their university.